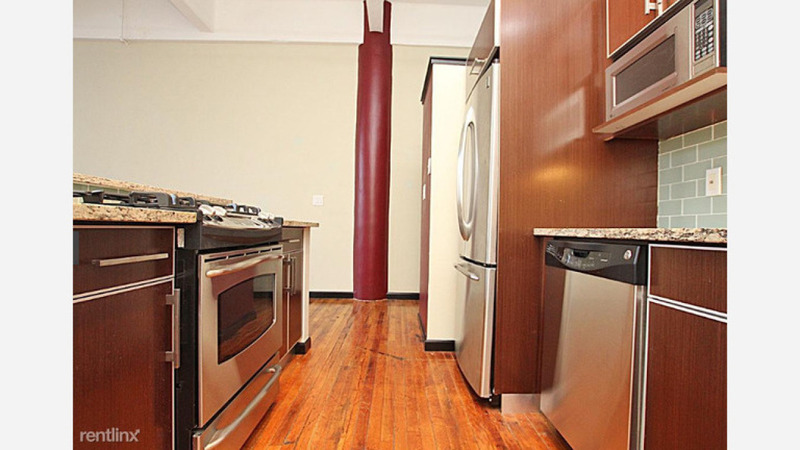 What's The Cheapest Rental Available In Center City East, Right Now? If you're on the hunt for an apartment, you know how hard it can be to find a good spot for a reasonable price. So what does the low-end rent on a rental in Center City East look like these days--and what might you get for the price? We took a look at local listings for studios and 1-bedroom apartments in Center City East via rental site Zumper to find out what price-conscious apartment seekers can expect to find in this Philadelphia neighborhood. Listed at $1,250 / month, this 575-square-foot 1-bedroom, 1-bathroom apartment, located at 2 N Juniper St., is 17.2 percent less than the $1,510 / month median rent for a 1-bedroom in Center City East. In the unit, you can expect a mix of hardwood floors and carpeting, a dishwasher, two closets and exposed brick. Cats are permitted. This 1-bedroom, 1-bathroom single-family home, situated at 1222 Arch St., is listed for $1,480 / month. In the unit, you're promised a mix of hardwood floors and carpeting, a dishwasher and plenty of cabinet space. Building amenities include a fitness center, on-site laundry and an elevator. Pet owners, inquire elsewhere: this spot doesn't allow cats or dogs. Here's a 1-bedroom, 1-bathroom rental at 1228 Arch St., which is going for $1,500 / month. In the unit, anticipate air conditioning, hardwood flooring, granite countertops, stainless steel appliances, a dishwasher and in-unit laundry. When it comes to pets, both meows and barks are welcome.